With Halloween around the corner, we are spending a lot of time thinking about costumes. There are so many ways to do costumes, from fanciful and fantastic to historic, and we love them all! In preparation for this exciting holiday, we decided it would be fun to interview a friend of Nancy’s whose work is great for daily wear and costuming alike! She is a whiz with vintage patterns – and makes it easy for the rest of us to work with them, too. Without further ado, we present Janet from Decades of Style Pattern Company. Who are you? I’m Janet, from Decades of Style Pattern Company. My official title, according to my business card, is ‘Person’. We make vintage sewing pattern reproductions for the modern sewer, offering patterns from the 1920s through the 1950s, with a couple styles from the decades before and after. We do a lot of the ‘heavy lifting’ associated with sewing from vintage patterns. We translate vintage yardage requirements to work with modern fabric widths. 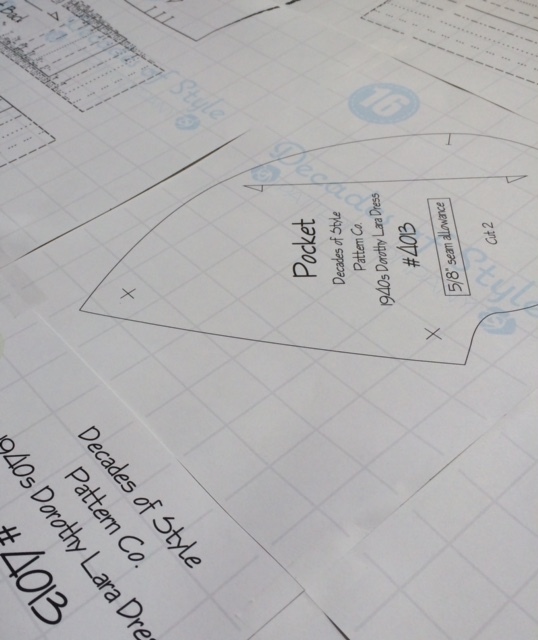 We also grade all our pattern styles to fit nine different sizes (from a 30” bust up to 46”). Decades patterns are also friendlier to work with than actual vintage patterns and they are available in sizes that are reasonable! 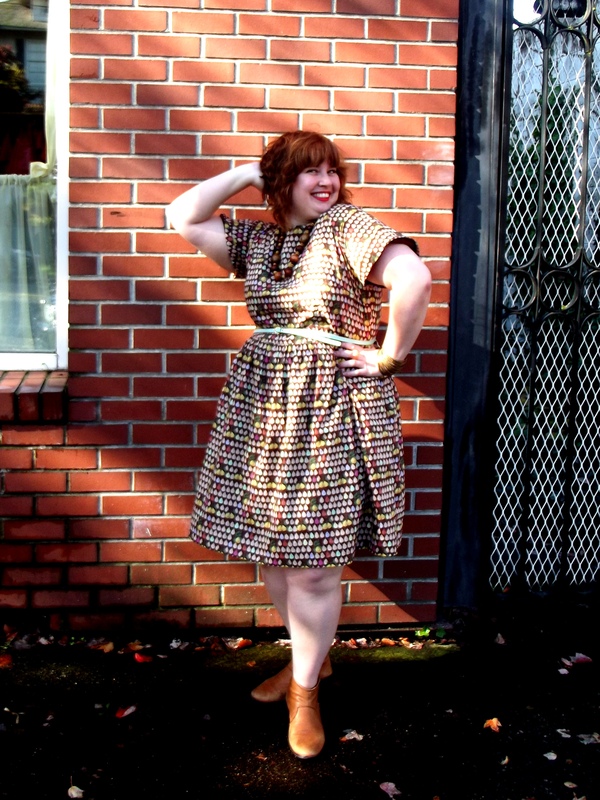 So many vintage patterns are only available in that mystifying 30” or 32” bust size. I had outgrown that size by the age of 13! 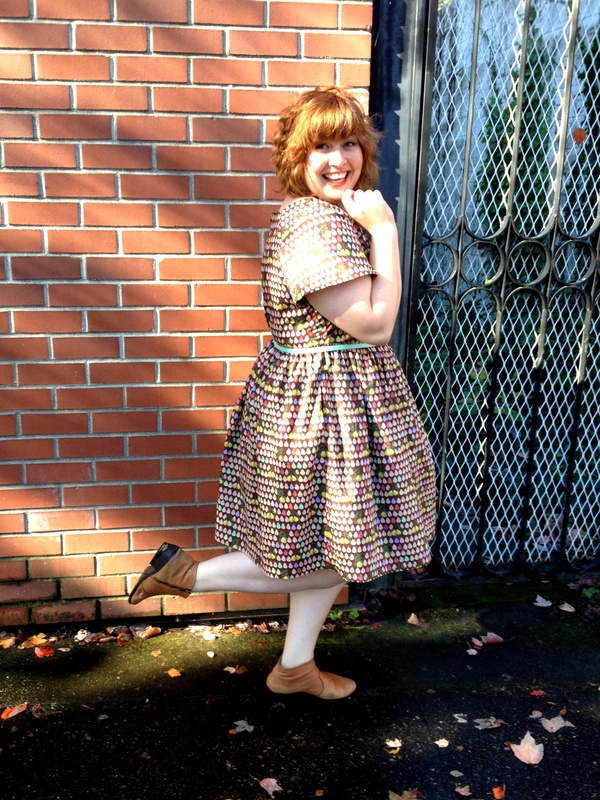 We make vintage styles available for the 99% of the population that is larger than a size 0. That’s actually the mission statement of the company. 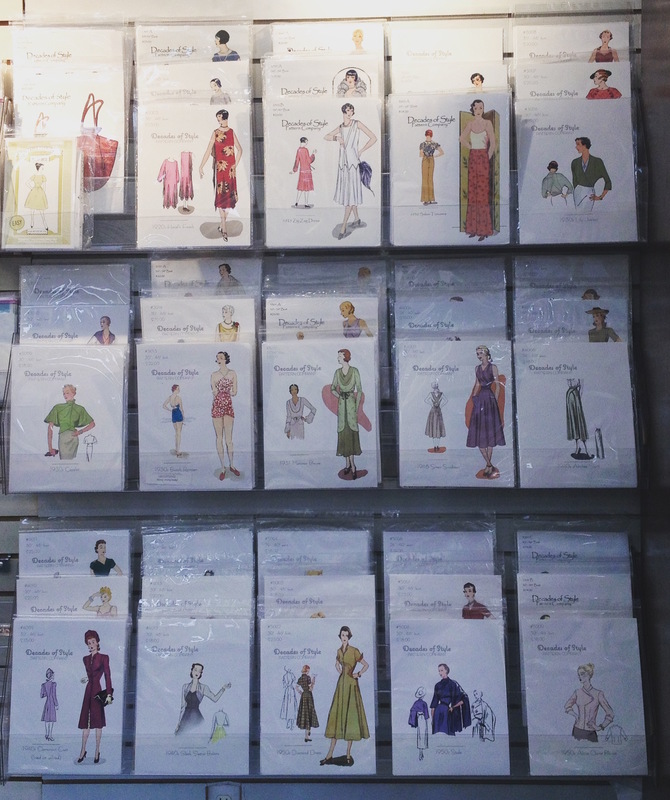 Actual vintage patterns from Janet’s collection. Lots of 30″ and 32″ bust sizes. I can’t remember a time when I wasn’t interested in antique or vintage clothing. It is a lifelong interest that has turned into a life. Even though I was interested in wearing vintage clothes when I was younger, I didn’t really have any access to purchasing them. Apart from a few 1950s suits that were castoffs from my fancy grandmother’s closet, I didn’t get to wear actual vintage clothing until I left home and could shop in vintage clothing stores. It was a brutal awakening to see that only a tiny fraction of the inventory would fit me. I realized if I wanted to wear vintage style clothing, I would have to make it myself. Annoyingly enough, most vintage clothing patterns that have survived the last 50-plus years are only available in ridiculously tiny sizes. In order to make those styles for myself, I had to grade the patterns and I knew I could not be the only one who wanted them. Decades of Style is an extension of the grading process. 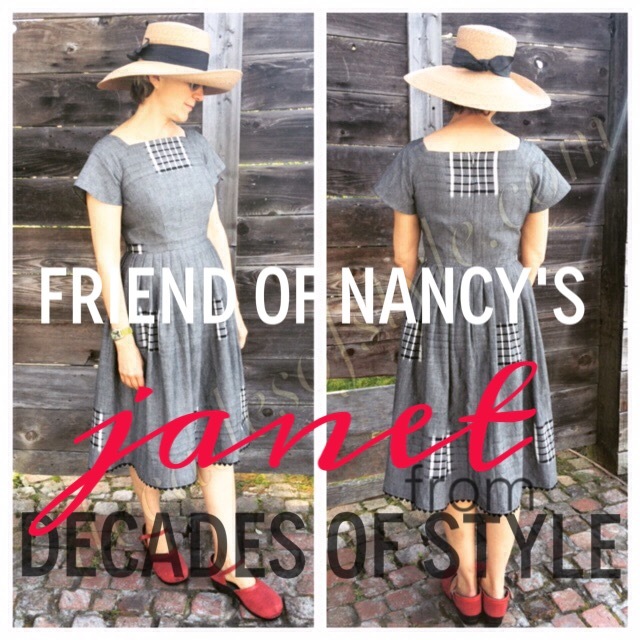 Nancy’s has carried Decades of Style patterns since 2012. It seems like the pattern line is a very good match for the store. It’s an honor to be a part of Nancy’s and I’ve really enjoyed getting to know the ladies there. Decades of Style patterns on display in Nancy’s. 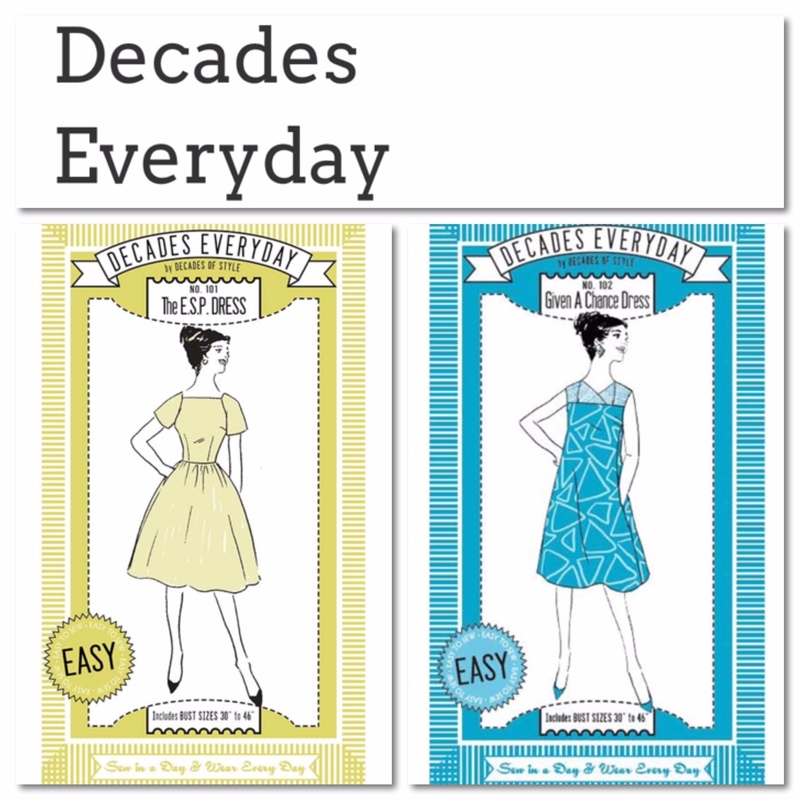 In the summer of 2014, we launched a micro-line of patterns called Decades Everyday. The aesthetic of these patterns lean toward 1960s styling but they still feel modern. The patterns are designed for those who are newer to sewing, though the patterns are great for more skilled sewists who just want a quick make. They are easy to sew and you can pretty much make them in a day. We released our second pattern – the ‘Given a Chance’ dress – in May 2015 and are now working on the next pattern for this line. This question is practically impossible to answer! If I must have a favorite pattern, I would say the E.S.P. Dress from Decades Everyday. Even though I totally adore the more elaborate patterns in our catalog, I cannot deny the appeal and relatively instant gratification of whipping up a pretty dress in an afternoon. And really, depending on the fabric you use, the result can be quite sophisticated. This E.S.P. was made with a lovely embroidered border linen. I probably have more E.S.P. 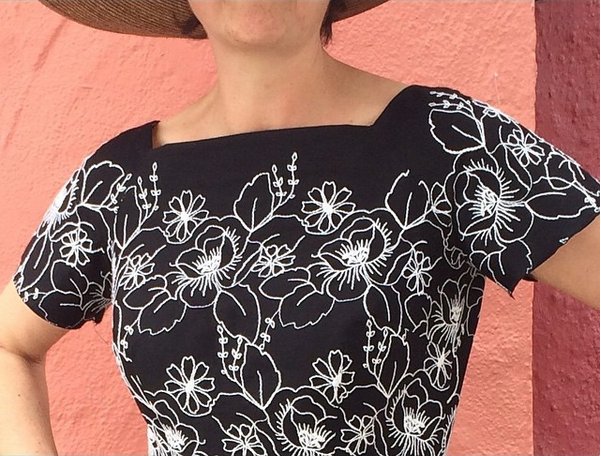 dresses in my wardrobe than any other pattern in the catalog, so it must be my favorite! And if I’m being completely honest, I have quite a few pieces of fabric lined up with this pattern in mind. Another E.S.P. dress made in a unique fabric! This time, an ikat is fussy cute to meet in the center front and center back of the bodice. Rickrack at the hemline is a particularly charming touch. I also love this pattern because I think it is an accessible project for a greater number of sewists out there. There are so many people who have only started to sew in the last few years. It is important for us to keep them in mind as much as the more advanced sewers. PDF patterns. Yup; it’s happening. We just decided it was time to join the 21st century on this one so we’ve been developing this project all year. We’ll keep you posted via Instagram and Facebook on when that launches. It should be coming up very soon. Thanks so much, Janet! 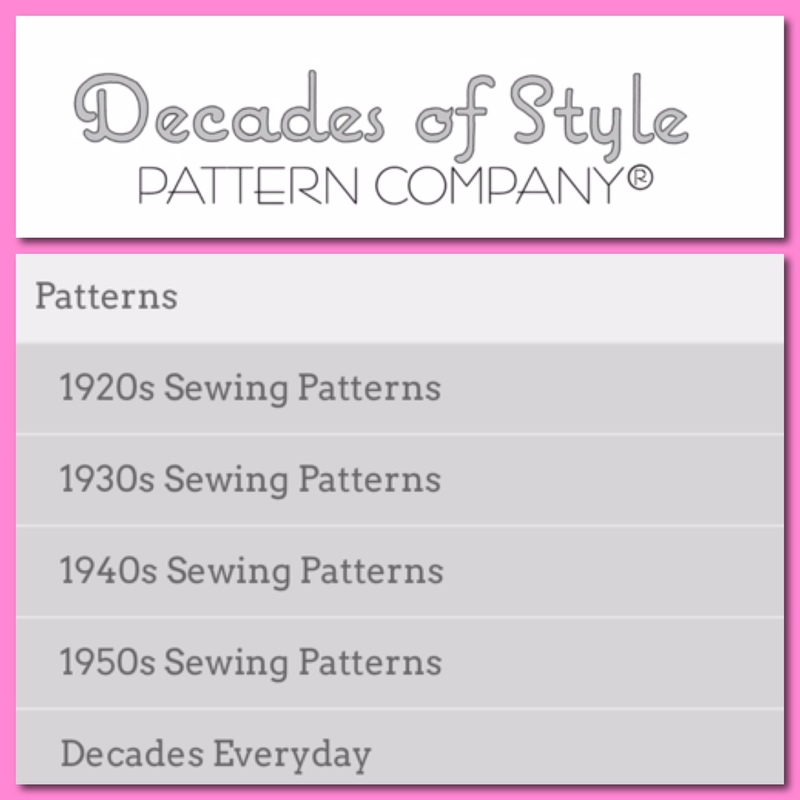 We are very excited about your venture into PDF patterns and can’t wait for the next Decades Everyday pattern! 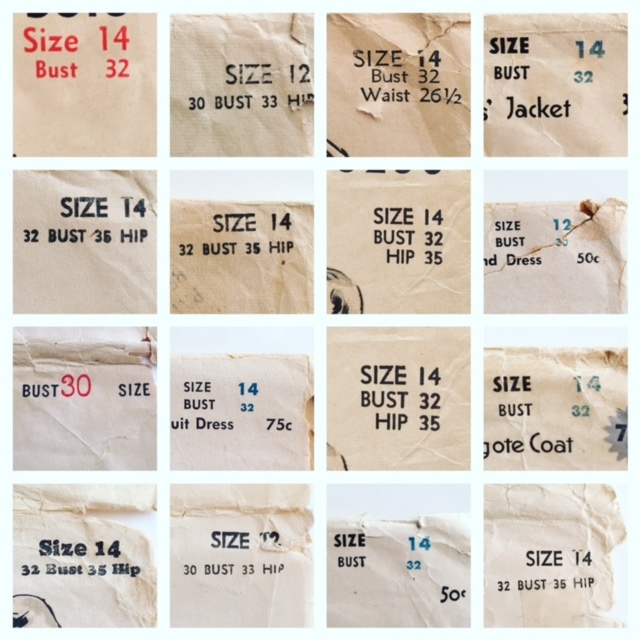 For more glimpses into the world of vintage pattern making, including completed customer projects and in-progress photos, follow Decades of Style on Facebook and Instagram! All photographs in this post are courtesy of Decades of Style and may not be used without express permission. 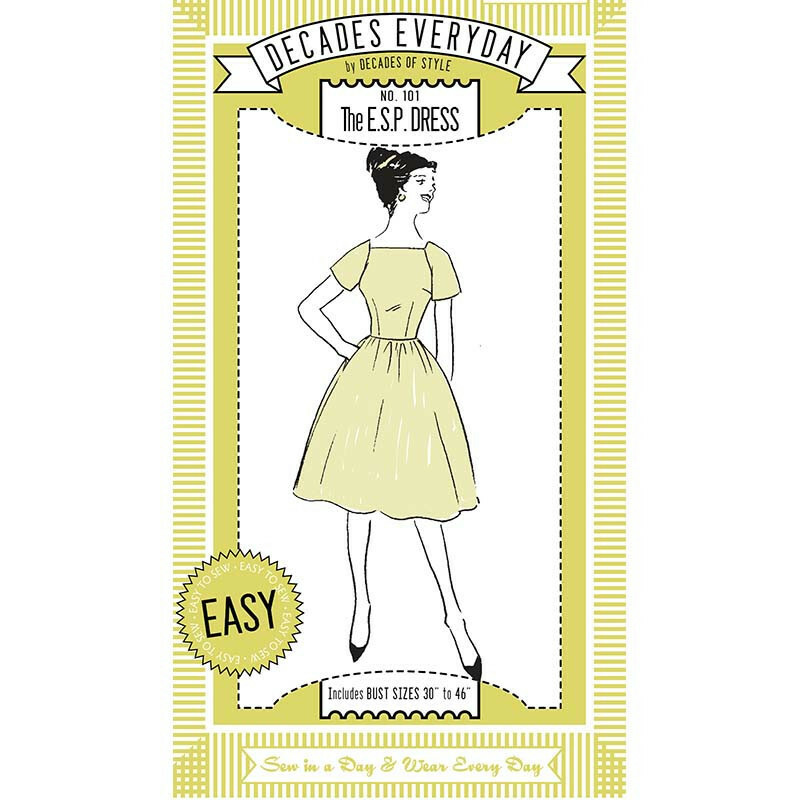 One of our favorite independent pattern lines, Decades of Style, has a brand new ‘easy’ line of patterns: Decades Everyday! The first pattern from this new micro-line, The E.S.P. Dress, is described as an easy-to-sew retro dress pattern featuring flattering raglan sleeves, a faced square neckline, front and back darts, and a gathered skirt with pockets for that classic fit-and-flare shape. The slogan for Decades Everyday is “sew in a day & wear everyday” and it is accurate! This pattern is great for novice sewers. The style is simple, construction is straight forward, and directions are easy to follow; all in all a great pattern for those who love the look of vintage clothes, but may not have the technical knowledge or skills to make a true reproduction. This is the first dress I have made in several years and was feeling a bit rusty about my garment construction skills, but found this pattern to be a great choice. For fabric, I selected a 100% Cotton Lawn from Liberty (in the fabulous Jack and Charlie print). 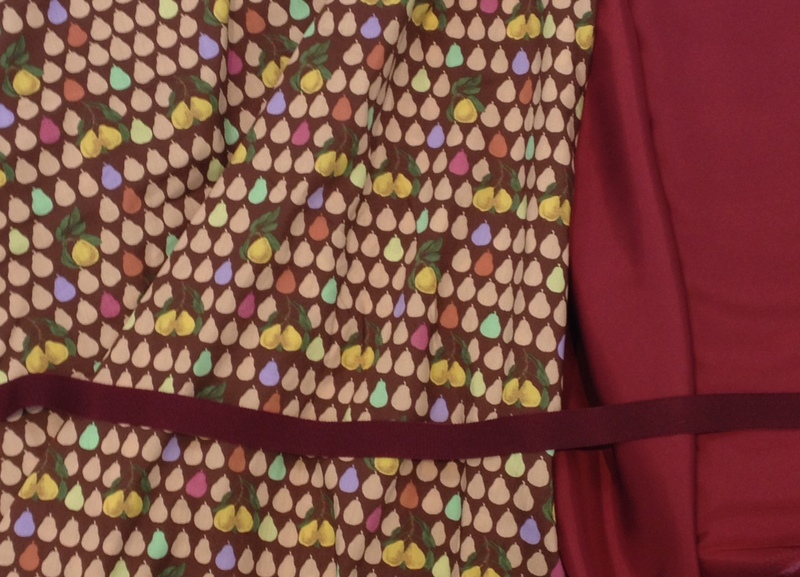 While the pattern is unlined, I decided to do a full lining using Ambiance 100% Rayon Bemberg quality. I also selected a coordinating ribbon to use as a hem tape (more details below). I made the size for bust measurement 46″. I had help from the inimitable Jacque Goldsmith in fitting the bodice and ended up shortening the top by 2″ from the front waist dart all the way around. I also lowered my bust dart by about 1″ and took approximately 1/2″ out vertically from each back panel. I decided to trade out the suggested 22″ standard zipper for an invisible zipper and hook & eye. I think invisible zippers have an easier installation and prefer the look to boot. When hemming the skirt, I opted to use a 3/4″ 100% Rayon Petersham grosgrain ribbon as a hem tape to simultaneously make the hem a bit less bulky and to add a little weight to the hem. Plus, I love the look of grosgrain in a skirt hem. As mentioned above, I chose to fully line this dress. I used the same altered bodice and sleeve pieces and then dirndled the skirt. I made my skirt lining 2″ shorter than the dress skirt and hemmed on the machine. Quick and easy. All finishing was completed by hand, save the understitching at the neck facing, which I did on my machine. Because it was easy to construct and I love the fit, I plan to make this dress many times over. In fact, I’ve already completed a second and have selected fabrics for two more! I am particularly excited to try top stitching in a cute contrasting color when I make up this pattern in other fabrics. Don’t you just love this dress?